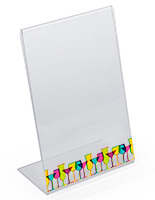 21.5" LED media player and silver stand features eye-catching presentations. 180° tilt range with adjustable stand. Floor unit extends from 38"h to 67"h.
Electronic digital signage creates a fuller experience for customers and guests during their visit to a business or while shopping at a store. These marketing solutions are seen in retail stores, restaurants, car dealerships, trade shows, commercial businesses, and many more locations! Each unit of electronic digital signage, with an LED screen, will attract more patrons into a business with an eye-catching presentation. The software supports all JPEG photos, video files, and music clips to play on the media player. 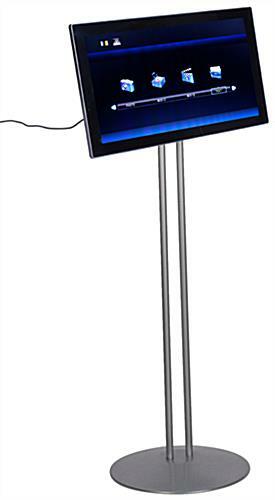 Electronic digital signage, for a retail store, includes an adjustable stand that ranges in height from 38" to 67". 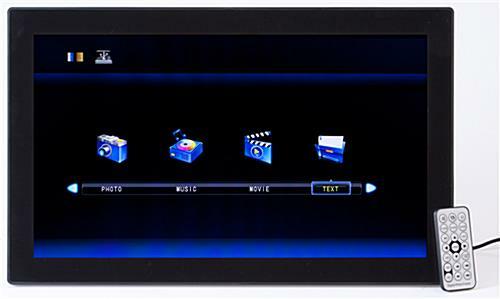 The systems are designed to display slideshows controlled with multiple settings and time intervals. This electronic digital signage, that has a height of 67", also has a 180° tilt that easily rotates the frame to be placed at the ideal angle. The display can be shown in horizontal or vertical orientation for eye-level viewing pleasure. In addition, electronic digital signage, also known as e-commerce accessory, is ideal for any industry with its' sleek design and versatile features. 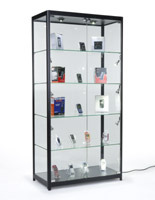 A business can feature this unit near products in the store. 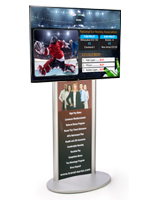 This electronic digital signage, that is a merchandising tool, will increase sales and improve brand recognition. Advertising products and services is crucial to a successful company. Users can buy electronic digital signage, that communicates with customers, as an additional tool to help improve a store's environment. The software of these devices display a 1920x1080 resolution to provide the best and highest quality software to customers. These LCD fixtures, electronic digital signage are effective point of sale tools to bring companies to the next level of technology!